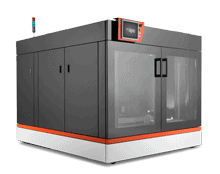 The most advanced large scale 3D printing experience. 3D printing at large-scale with speed & precision. An industrial machine for professional prints. The cutting-edge of 3D Printing. 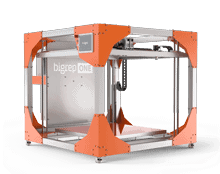 BigRep delivers the most advanced 3D printing materials for a wide range of applications. Bigrep is dedicated to not only enabling innovation in our 3D printers but also in the development of our 3D print materials. Choose from 3 colours, a spool size range from 750g to 8 kg, to meet any industrial print requirement. 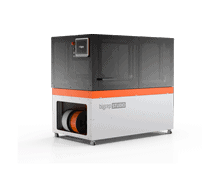 In addition to the printers and filaments, BigRep offers a wide range of accessories, such as the Magigoo to solve warping problems. The NOWLAB's diverse team are experts in their fields. They work together to develop the most advanced, innovative, and yet unseen applications and technological solutions in the additive manufacturing domain. Hear all about 3D print success stories, the functionality of the prints and the innovative ideas bringing 3D printing technology into industrial spaces. Get inspired by Bigrep use cases from around the world. From showcasing the industrial value of 3D printing to highlighting successful use cases, Bigrep’s webinars explore the most interesting aspects of 3D printing opportunities and possibilities. 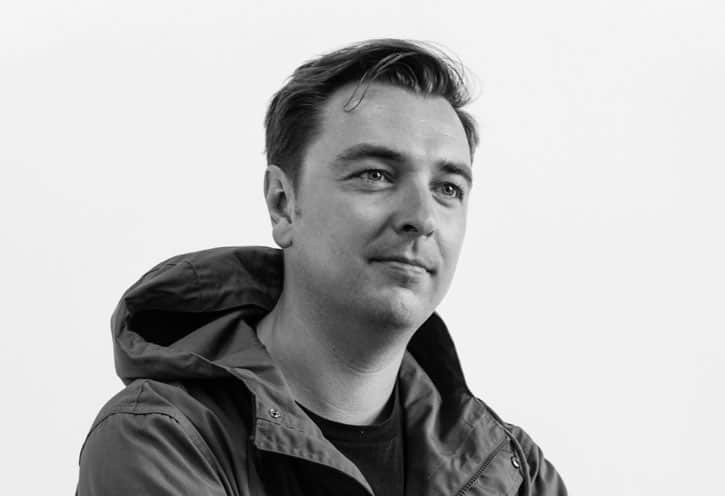 Daniel Büning Appointed Chief Innovation Officer of 3D Printing Manufacturer BigRep3D design, technology and innovation expert Daniel Büning, co-founder of NOWLAB, named as new Chief Innovation Officer of BigRep GmbH / Appointment completes BigRep executive management team. Top 5 Trends at AMUGBigRep recently debuted the PRO in North America at AMUG, one of the largest additive manufacturers user conferences.AMUG (as it has been known since 2011) has been around since the late 80s with the mission to educate and advance the uses and applications of additive manufacturing technologies. 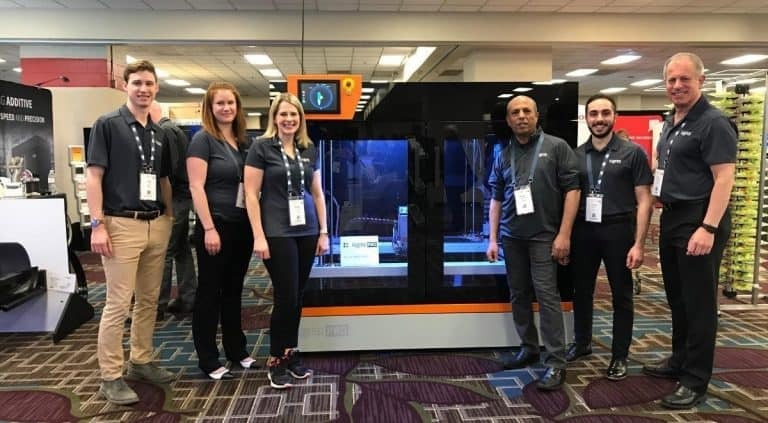 With more than 2,000 attendees solely dedicated to additive, BigRep was able to leave their footprint as the industrial leader in large-format 3D printing.Here’s a look at the top 5 trends we saw at AMUG. Access BigRep’s knowledge-hub, ask a unique question or report a printer problem and much more. Bigrep service covers all the printing needs of our customers and provides help in cooperation with our local partners. Get help, create support tickets and get rapid assistance in cooperation with BigRep’s local partners. Download the settings information, printers or software guides and much more. 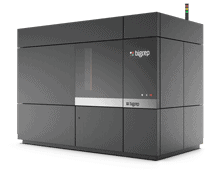 Bigrep offers interesting courses to familiarize yourself with the BigRep printers. The variety of courses delivered at the Bigrep Academy cover the information and skills necessary for success in the 3D printing industry. The BigRep global online shop, where the entire range of filaments and printing accessories can be found. This shop is global customers (EU, APAC etc). For delivery to the US, please visit the BigRep America online shop. The BigRep America online shop is where the entire range of filaments and printing accessories can be purchased. This shop is dedicated to US customers only, but our valued customers in Europe and Asia-Pacific can find everything at our global shop. BigRep's team is growing fast and is always interesting to talk to talented people. Take a look at our current job openings. The latest BigRep's press releases, news and investments. Find the public relations and media contact details to get more information. From the market leaders in automotive to entertainment, BigRep’s partners are some of the leading industrial players in automotive, machining, aerospace and industrial manufacturing. Bigrep products are sold through our worldwide network of authorized resellers. Contact our Berlin office and we’ll help you find a reseller in your area. BigRep is set to become a leader in additive manufacturing. To achieve this goal, we need are building a supplier base that is flexible and quality conscious. 1.1 All offers, sales contracts, deliveries and services made on the basis of any orders by our customers (each a „Customer“) through our online Shop shall be governed by these general terms and conditions (the „General Terms and Conditions“). 2.1 Our offerings in the Online Shop are non-binding. 2.2 By placing an order in the Online Shop, the Customer makes a binding offer to purchase the relevant product. The offer will remain open for acceptance by us for a period ending at the end of the fifth business day following the day of the offer. 2.3 Without undue delay upon receipt of the order, we will send to the Customer by e-mail a confirmation of receipt, which shall not constitute an acceptance of the order. The order shall be deemed to be accepted by us either upon subsequent (e-mail) acceptance of the order (the “Order Confirmation”) or by dispatching the product. The sales contract with the Customer shall not become effective until our acceptance. 2.4 All details regarding our products, particularly those concerning quality, color, size, equipment and weight, are approximate only and do not constitute quality descriptions. We reserve the right to permit deviations customary in the trade, especially technically unavoidable changes in quality, color or size. The condition, suitability, classification and function of our products are determined by our specifications only. Public statements, recommendations or advertising by third parties or us does not represent quality descriptions of the products. Guarantees of the quality or durability of our products must be indicated as such in the Order Confirmation; this also applies to deliveries of samples and specimens. 3.1 Our prices does not include statutory VAT and are net of shipping costs. Any customs duties and similar public charges shall be borne by the Customer. 3.2 Unless expressly otherwise agreed by us, all shipments by us shall require advance payment (to be made in the manner specified in our order form made available in the Online Shop) or shall be paid cash on delivery, in each case upon receipt of an invoice. 3.3 In the event that we have agreed to payment after delivery, our invoices shall be due and payable by the Customer within 5 business days upon receipt of the product and the invoice. 3.4 The Customer shall have no right of set-off or retention, except to the extent that the counterclaim has not been disputed by us or been determined by a final and binding decision. 4. Dispatch of the Product, Exchange of the Product. 4.1 Any date of dispatch communicated by us shall be only approximate, except if a fixed date of dispatch has been agreed upon. 4.2 Unless expressly otherwise agreed upon, we shall be free to determine the appropriate mode of shipment and to select the carrier at our reasonable discretion. 4.3 Any time period relevant to determine the date of dispatch pursuant to this Section 4 (as specified by us when the order is made or as otherwise agreed upon) shall commence (a) if advance payment has been agreed, upon receipt of the full purchase price (including VAT and shipping costs) by us or (b) if cash on delivery or payment after delivery has been agreed, upon the conclusion of the contract. 4.4 The date of dispatch shall be such day on which the product is handed over by us to the carrier. We, therefore, shall only be obliged to properly and timely deliver the product to the carrier and shall not be responsible for any delays caused by the carrier. Any transit times specified by us shall therefore only be non-binding estimates. 4.5 We shall insure the product against the usual risks of transportation at our cost and expense. 4.6 In the event of Acts of God such as interruption to business, delays in delivery, industrial disputes, and in the event of non-delivery, incorrect or delayed delivery by our own supplier, for whatever reason (reservation for self-supply), and in the event of any other unforeseeable hindrances to the performance of service over which we have no control, we may postpone delivery for a period equaling the duration of the hindrance. If the delivery becomes impossible or unreasonable because of permanent hindrance we shall be entitled to withdraw from the contract in whole or in part. If the acceptance of delivery becomes unreasonable for the Customer because of the delay, the Customer shall be entitled to withdraw from the contract by immediate written notification to us. 4.7 Partial deliveries of products included in the same order shall be permitted, provided that the products can be used separately and provided further that we shall bear any additional shipping costs caused thereby. 4.9 If the Customer orders a product in exchange for a product that has been previously bought from us and used by the Customer in the meanwhile (the “Exchange Product”) the following shall apply: The Customer must hand over the Exchange Product together with the necessary transport documentation to the carrier when the ordered product is delivered to the Customer. Only after the the carrier has received the Exchange Product together with the transport documentation the ordered product will be handed over to the Customer. The risk of accidental destruction, damage or loss of the delivered product shall pass to the Customer upon delivery of the product by us to the carrier. 6.1 We retain legal title to any product supplied by us until the purchase price (including VAT and shipping costs) for such product has been fully paid. Also vis-à-vis third parties the Customer shall make all declarations and acts that are necessary for the legally valid creation of the retention of title acc. to this Sec. 6. If we are required to make further declaration or acts for the creation of the retention of title, the Customer will inform us without undue delay in text form (including telefax or e-mail). 6.2 The Customer shall not be entitled to resell any products delivered by us which are under retention of title, except with our prior written consent. 7.1 In the event of a defect of the delivered product, we shall have the right to choose between repairing the defect or supplying another product (as ordered) which is free from defects, provided that such choice shall be made by us by written notice (in „text form“, including by telefax or by e-mail) within a period of three business days following receipt of the Customer’s notice of the defect. If we fail to made the aforementioned notice timely or in text form, the Customer shall have the right to choose between repairing the defect or supplying another product (as ordered) which is free from defects. We may refuse to remedy a defective product in the manner requested by the Customer if such remedy would result in unreasonable costs. 7.2 If the remedy (supplementary performance) pursuant to Section 7.1 fails or cannot reasonably be expected from the Customer or we refuse to remedy the defect, the Customer shall be entitled to terminate the sales contract, reduce the purchase price or claim damages or frustrated expenses, in each case in accord­ance with applicable law; provided, however, that damage claims of the Customer shall be subject to the provisions contained in Section 9 of these General Terms and Conditions. 7.3 The warranty period shall be twelve months upon delivery of the product. 7.4 Promptly upon delivery the Customer shall inspect the product with due care. The delivered product shall be deemed to be approved by the Customer unless the defect is notified to us (i) in case of any obvious defects within a period of five business days upon delivery or (ii) otherwise within five business days from the day when the defect has been identified. 8.1 The Customer is granted the non-exclusive right to use any software delivered with the product for use in connection with the product. 8.2 The Customer shall have no right to make copies of the software, except for the purpose to use the software pursuant to Section 8.1 or for back-up purposes. 8.3 The Customer may transfer the rights to the software to any third party only if at the same time title to the relevant product (in particular, a hardware product) is transferred to such third party and the Customer does not retain any copy whatsoever of the software. 8.4 In no event shall we be required to make available the source code of the software. 9.1 We shall not be liable (on whatever legal grounds) for damages which may not reasonably be foreseen, assuming a normal use of the product. Furthermore, our liability shall be excluded for damages resulting out of a loss of data if their recovery is not possible or impeded due to a failure to perform appropriate data back-up procedures. The foregoing limitations of liability shall not apply in cases of wilful misconduct or gross negligence. 9.2 The provisions of this Section 9 shall not apply with respect to our liability for guaranteed product specifications (within the meaning of Sec. 444 of the German Civil Code), personal injury or under the German Product Liability Act. 10.1 Any contracts entered into between us and the Customer shall be governed by the laws of the Federal Republic of Germany under exclusion of the UN Convention on the International Sale of Goods (CISG), without prejudice to any mandatory conflict of laws provisions. 10.2 If the Customer is a corporation, limited liability company or commercial partnership or otherwise operates a commercial business (Kaufmann within the meaning of Sec. 1 (1) of the German Commercial Code) or is a legal entity or special fund organized under public law, the courts in Berlin shall have exclusive jurisdiction in respect of all disputes arising out of or in connection with the relevant contract. In all other cases, we or the Customer may file suit before any court of competent jurisdiction under applicable law. Subscribe to our newsletter for useful tips, news and resources around industrial 3D printing. The BigRep GmbH gets supported by funds from the Pro FIT program. 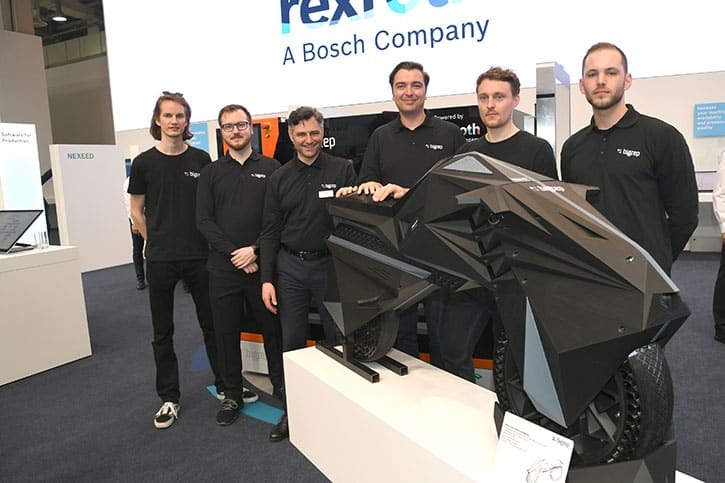 The Pro FIT project is co-funded by the Europäischen Fond für Regionale Entwicklung (European Regional Development Fund) (EFRE) and aims to provide a high-performance, intelligent and flexible 3D printer, as well as novel printing input materials and printing techniques. We embed videos from our official YouTube channel using YouTube’s privacy-enhanced mode. This mode may set cookies on your computer once you click on the YouTube video player, but YouTube will not store personally-identifiable cookie information for playbacks of embedded videos using the privacy-enhanced mode. Contains the current language of the admin and the user. Cookie required to allow a user to stay logged in to a web site without needing to submit their username and password for each page visited. Without this cookie, a user is unable to proceed to areas of the web site that require authenticated access. These cookies are set by WordPress are used for indication and identification of the logged in user. Those are session cookies. This website uses ActiveCampaign (AC) as the designated CRM to track user interaction. We use this to better understand how people interact with our site and to see their journey through the website. LinkedIn Remarketing, Analytics Global and tags: the LinkedIn pixel tag places cookies on your computer which can send an alert back to Linkedin telling LinkedIn that you have checked out the website. We then assume that you have an interest for Simple Sign and the content on this site. When visiting LinkedIn, you will then be exposed to information or adds with similar content. Please use your privacy settings on LinkedIn to limit exposure to marketing of this kind.